Slice the mochi into quarters and bake in a 450° oven or toaster oven until it puffs up, about 5 to 7 minutes. While the mochi is cooking, place the water and wakame flakes in a saucepan and bring to a boil. Reduce the flame to low and add the pureed miso. Simmer 1 to 2 minutes. Pour into a bowl and add the mochi puffs and scallions. 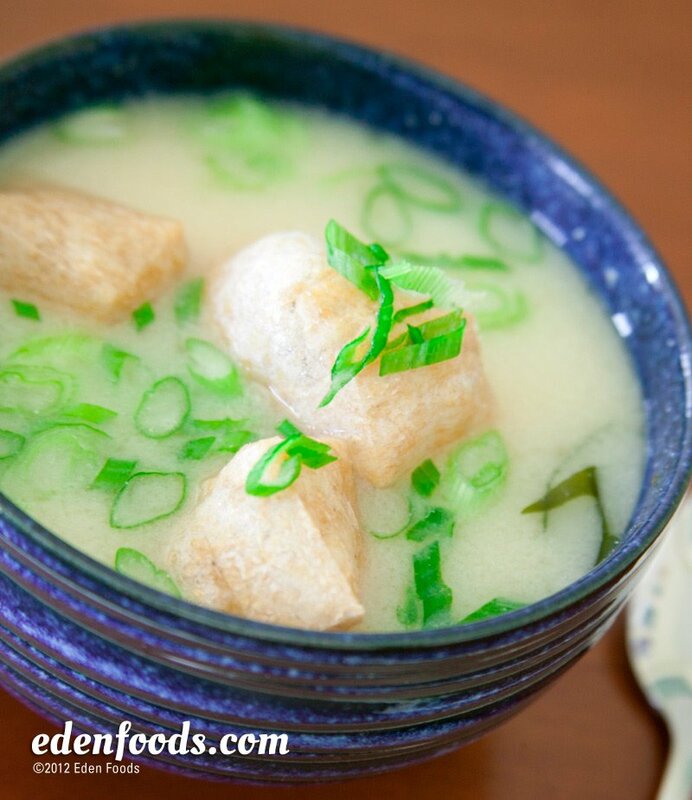 Variation: A teaspoon or so of crumbled Eden Bonito Flakes and a few cubes of tofu can also be added at the beginning of cooking for variety.